Adessa Ellis places third in the Boston Marathon. HOUSTON, Texas (KTRK) -- A Fort Bend County woman raced to the finish line of Monday's Boston Marathon, finishing third in her group. But, this momentous achievement for Adessa Ellis almost didn't happen. 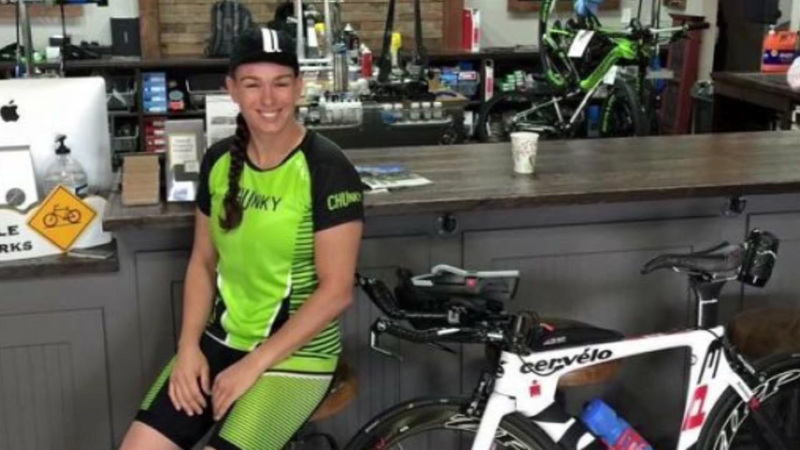 While on her bicycle training for an Ironman, Adessa was hit from behind in February 2016. She nearly died on arrival when she was rushed to Memorial Hermann Hospital. However, she and her family said doctors credited her training, as well as her iron-clad determination, for coming out of her critical injuries. She had collapsed lungs, a lacerated liver, a broken hip, a fractured pelvis, and broken bones in her legs. Doctors had to perform a risky surgery called an "open thoracotomy" to put her back together internally. "It's hard. I've had to learn how to work every muscle again," Adessa explains. Three years after that, she is a changed woman, having to go on with life without part of her left leg. But she persevered with the high showing in hand-cycling. A woman struck by a car while bike riding along Highway 99 in Fort Bend County has spent the last two months in the hospital, and now her story is being used as a warning to other cyclists.